Traders can’t seem to get enough of HSBC Holdings Plc. They’ve sent the shares up more than 20 percent in 2017, and they’re using options to bet on further gains. Bullish contracts are now the priciest in more than two years relative to bearish ones, while the ratio of outstanding calls to puts is near its highest level since 2002, reports Bloomberg. Prospects for higher borrowing costs from the U.S. to Asia, which make lending a more profitable business for banks, have lifted financial shares worldwide just as appetite for expensive technology stocks waned. The rotation has been especially evident in Hong Kong, where first-half favourite Tencent Holdings Ltd. is trailing HSBC for a second straight month. The charts below show just how the London-based bank, which reports earnings at the end of the month, is gripping investors in Hong Kong. While the cost of hedging against losses in the city’s equities has risen recently, for HSBC it’s the opposite. Bullish three-month options have become more expensive than bearish ones, with the gap reaching its widest since May 2015. 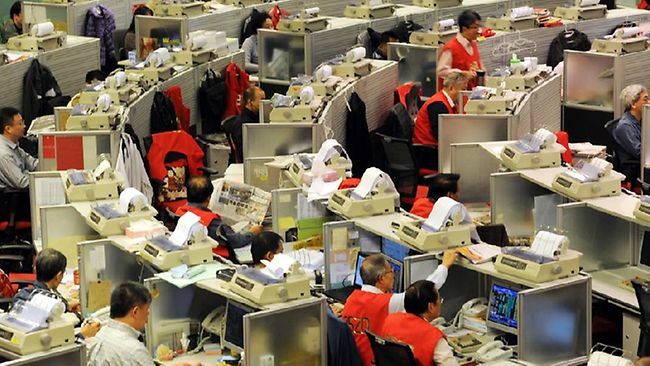 HSBC contracts are now the priciest in a year relative tothose on the Hang Seng Index, and all but one of the 12 most-owned options on the stock are bullish, including one wagering on a 3.3 percent increase by July 28.